In my youth, while my friends were discovering Supertramp and Rush, I discovered the music of Harry Nilsson. His LP's warmed my headphones on many a night. 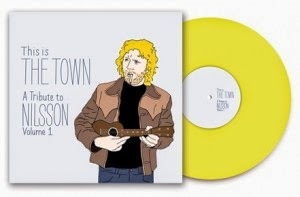 Brooklyn indie record label Royal Potato Family has recently released 'This is The Town: A Tribute to Nilsson, Vol. 1,' a 20-track collection of predominantly young and obscure artists to interpret some of Nilsson's songs. They were kind enough to send me a copy (on yellow vinyl!) to review. Harry Nilsson was an under appreciated songwriter, a rare talent that was misunderstood at times but loved by his peers. His escapades with John Lennon have been well documented and he was looked upon quite fondly. In reviewing a compilation album, I find that I have to take each song as an individual recording, and base my observations and thoughts on the specific artist's rendition of the song. Let's start with the first cut, Langhorne Slim's "Early In The Morning" from the 1971 LP 'Nilsson Schmilsson.' His raspy voice that captures the emotional depth and rolling boogie-woogie piano that was also prominent in Nilsson's version. Dawn Landes does a superb job of the musically simplistic, snappy, tongue-in-cheek wrath of a scorned lover on the song "You're Breakin' My Heart" (from the 1972 LP 'Son of Schmilsson'). The third cut is a remake of "Jump Into The Fire," by Low Cut Connie. The rumbling bass lines, rollicking piano and almost controlled hysteria make this one of the most memorable cuts on the album (off the 1971 Nilsson Schmilsson LP). Singer/songwriter Jenny-O contributes a circus-like balance and masterfully voiced-rootsy folk autobiographical rendition of the Nilsson cut "1941." The Mommyheads bring a pleasant twist to the playful song "Me And My Arrow,' a landmark rendition mixed perfectly at Storefront Music by Adam Elk of the band. Anne Nilsson (Harry’s daughter who also provided the lovely artwork) sings an uncanny, striking redo of the song "Gotta Get Up;" blended into a playful romp, delicate and beautiful. Blueberry's remake of "Poli High" captures the inherent qualities of the cut without being overpowering. Willy Mason reflective narrative on "Think About Your Troubles" is tackled with daring ingenuity. Yellowbirds' "Rainmaker" brings out the hazy sweetness of the cut into a pop friendly Tommy James and the Shondells-like vibe. Marco Benevento's take on "Are You Sleeping" flows seamlessly and is tight and structured and pure pop pleasure. Rasputina's remake of the lyrically poignant "Sweethaven" is intoxicating thrilling. Tracy Bonham does a standout job on her piano-bar based rendition of "Everybody's Talkin,'" a cut that grows on you every time you hear it; a wistful indie pop gem if there ever was one (which was written by Fred Neil, though Nilsson was the one who scored a hit with it). Johnny Society's jazzy storyline of the quirky cut "Mr. Richland's Favorite Song" is more of the disoriented pop and delicious catchyness that has made Nilsson's songs stand the test of time. 10. Marco Benevento - Are You Sleeping? Harry Nilsson became one of the most celebrated songwriters of his generation, and in the process, a reluctant pop star who none the less garnered a cult following that remains to this day. This is a record for your collection that will be played often, just like the music of Harry Nilsson. A wonderful, eclectic collection of Harry Nilsson's music that won't disappoint. ***** 5 out of 5 stars from the CVR blog! DEAR JERRY: Here is a topic that is not addressed in any previous articles about One Hit Wonders. Rare as it is, there have been a few folks who, after having a No. 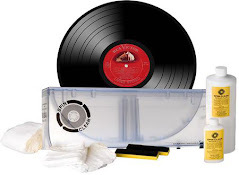 1 hit, never had another song appear anywhere on a Billboard or Cash Box top hits chart. What then is the title of each of those ill-fated follow-up singles, the ones that pretty much extinguished careers, at least in the singles category? They are more than likely songs that hardly anyone but you knows. Oh yeah, Bubbling Under (Billboard) and Looking Ahead (Cash Box) listings are outside the Top 100 and do not qualify as charted records. DEAR ERIK: I'll give you 50 years of No. 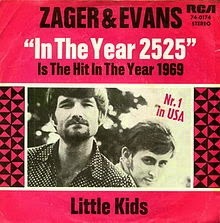 1 One Hit Wonders, essentially covering the 20th century. 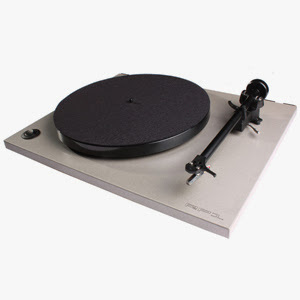 This is not only to work within the vinyl era, but to allow for a post-1999 artist to one day return to the charts. We don't want to apply the One Hit Wonder label prematurely. "It's in the Book" was No. 1 on Billboard, but peaked at No. 3 on Cash Box. "Goodnight," as well as the flip side, "Please Believe Me," both charted on Cash Box, but not Billboard. Included here because readers using only Billboard would say we missed it. "Tous Les Chemins" made the Cash Box Top 100, but not Billboard's. Same disclaimer as for the Elegants. "They're Coming to Take Me Away, Ha-Haaa!" was No. 1 on Cash Box, but peaked at No. 3 on Billboard. "Mr. Turnkey," as well as their next single, "Listen to the People," charted on Cash Box, but not Billboard. Same disclaimer as for the Elegants. "Dueling Banjos" was No. 1 on Cash Box, but peaked at No. 2 on Billboard. "Americans" was No. 1 on Cash Box, but peaked at No. 4 on Billboard. For our purpose, chart appearances by Vangelis with other artists, such as Jon Anderson, are separate from solo Vangelis recordings. If those were considered he wouldn't be on this list. "Puttin' on the Ritz" was No. 1 on Cash Box, but peaked at No. 4 on Billboard. "99 Luftballons" was No. 1 on Cash Box, but peaked at No. 2 on Billboard. 1985: USA for Africa - "We Are the World"
No follow-up recording was made by this all-star assemblage: Dan Aykroyd; Kim Carnes; Ray Charles; Bob Dylan; Daryl Hall; James Ingram; Michael Jackson; Jean-Michael Jarre; Al Jarreau; Waylon Jennings; Billy Joel; Quincy Jones; Cyndi Lauper; Huey Lewis; Kenny Loggins; Bette Midler; Steve Perry; Lionel Richie; Smokey Robinson; Kenny Rogers; Diana Ross; Paul Simon; Bruce Springsteen; Tina Turner; Dionne Warwick; and Stevie Wonder. This is a reissue of a 1982 single, originally released in Canada and the U.S. (Capitol 5199). Since the band split up about three years later, no follow-up to the 1989 hit was made. IZ ZAT SO? Fortunately, most artists don't fizzle immediately following a No. 1 hit. 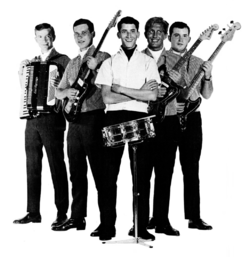 One interesting example is Gary Lewis and the Playboys, one of a small group of acts whose very first record reached No. 1 ("This Diamond Ring"). "This Diamond Ring" (1); "Count Me In" (2); "Save Your Heart for Me" (2); "Everybody Loves a Clown" (4); "She's Just My Style" (3); "Sure Gonna Miss Her" (9); and "Green Grass" (8). This odd factoid may not interest Guinness, but we think it looks nice on his resume.